There is simply no continent like Africa. It is primal. Earthy. Alive. It is a continent of smiles and warmth, and renowned the world over for its hospitality. 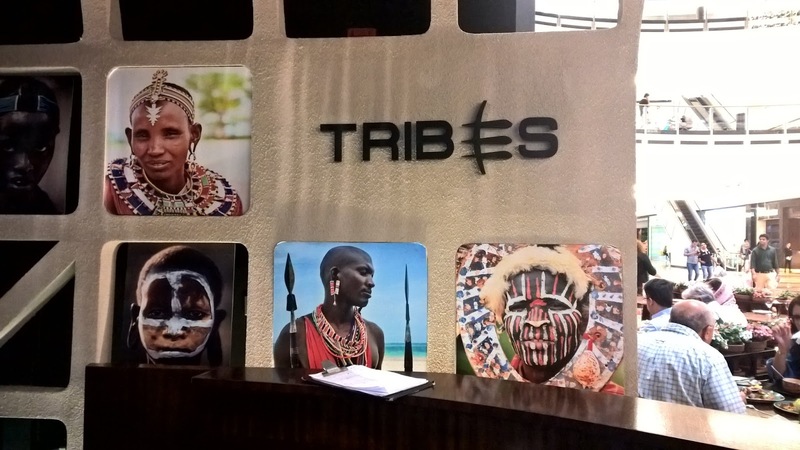 Tribes, a restaurant in Mall of the Emirates in Dubai, claims to capture the energy and colour of this fascinating continent with a menu that reflects the diversity of the cuisine found there. 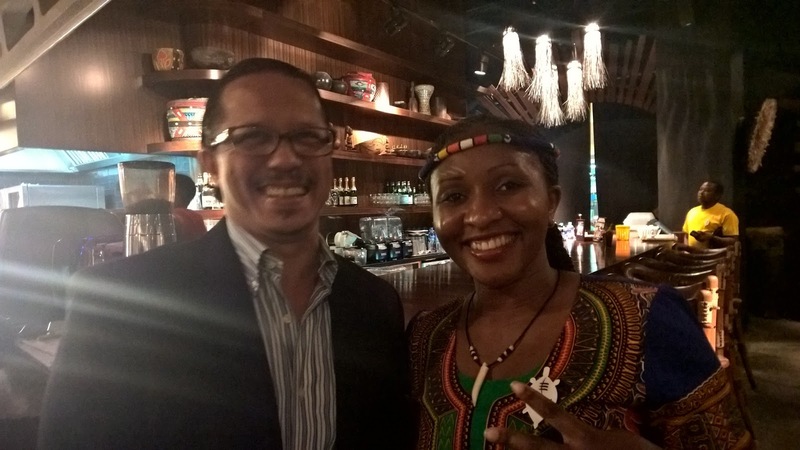 As I walk in to Tribes, it is the 'Africanness' that strikes me immediately. Africa is a colourful continent, or to use Nelson Mandela's metaphor for South Africa, a rainbow nation. 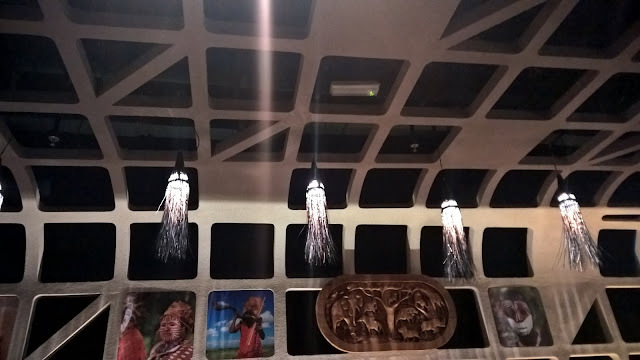 I feel this as I walk in to the restaurant; as if I am entering a cave, a design that recalls the deep history of Africans who lived in caves many years ago. Images of tribes can be seen on the walls of the 'cave'. 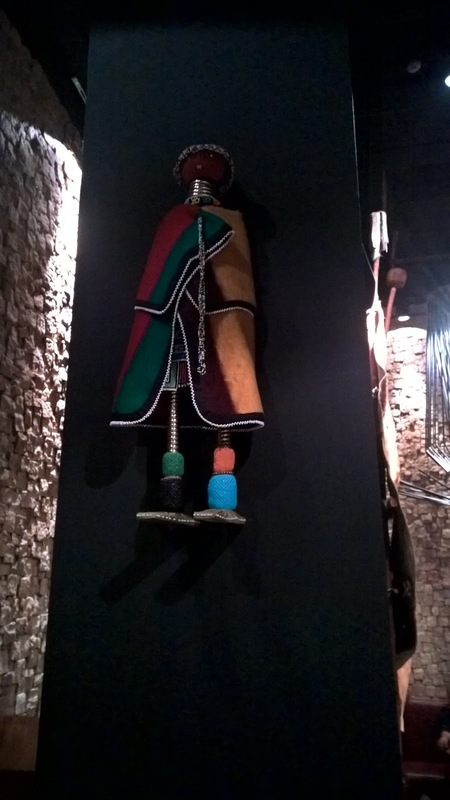 Warrior shields and Ndebele dolls are also there to create a one of a kind ambience. 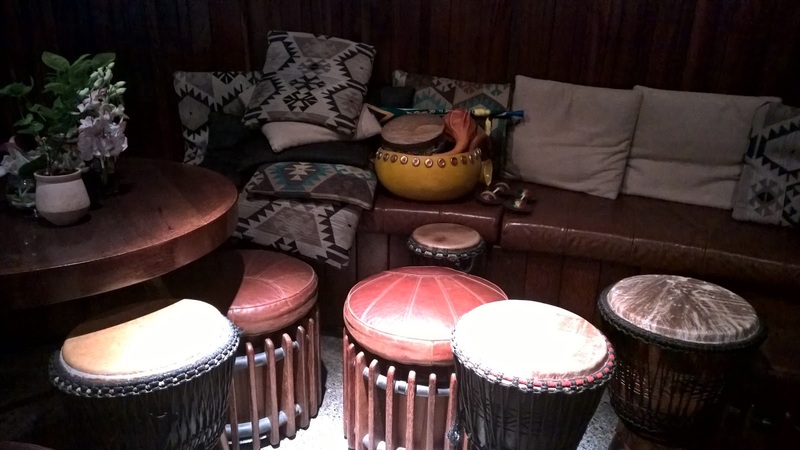 At the back end of the restaurant are African drums, which are not played today as it is the Holy month of Ramadan, but I am told that like its sister restaurant Meat Co, they do a raucous birthday song for celebrants. One for the bucket list! 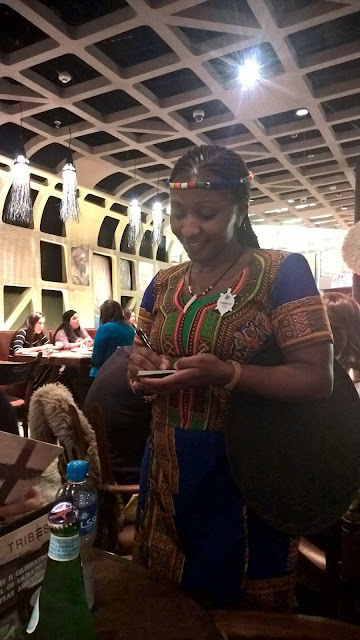 Waiting staff are dressed to represent some of the tribes found across the African continent. Finally, the open kitchen is very symbolic of things African - there is nothing to hide, it is welcoming and embraces all. Finally, the long bar shows that just because a restaurant does not serve alcohol does not mean you cannot design a bar that looks inviting. Very nice indeed. 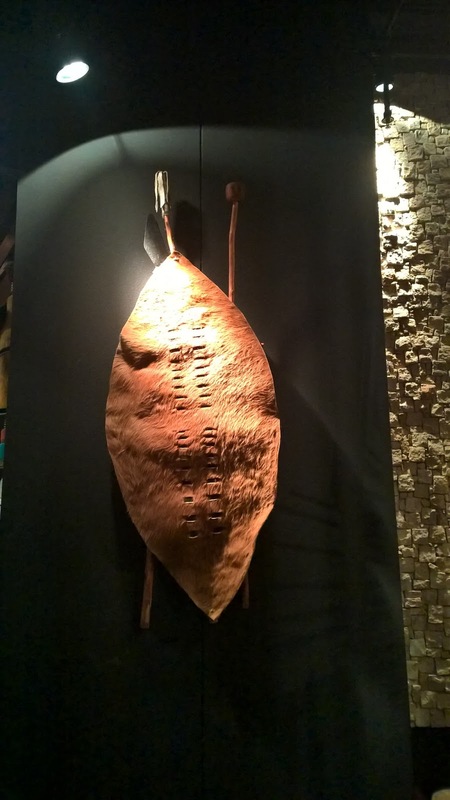 The menu is a reflection of the diversity of Africa and its tribes. Starters include Central African pie, West coast grilled calamari and Ugandan fish croquettes. However, I opt for the Mozambican prawns with green mango and it is served as per my request, without rice. 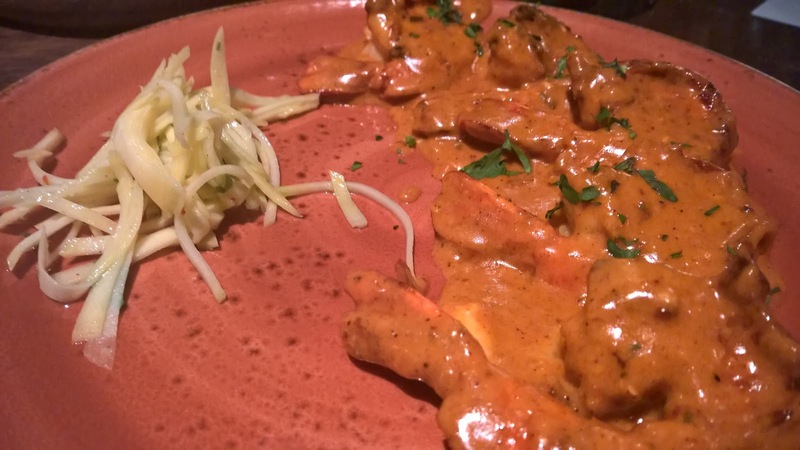 The prawns are perfectly grilled, retaining its natural moisture and it is bathed in a decadent spicy sauce that does not overpower the prawns. The green mango adds a a crunchy sourness to the dish. 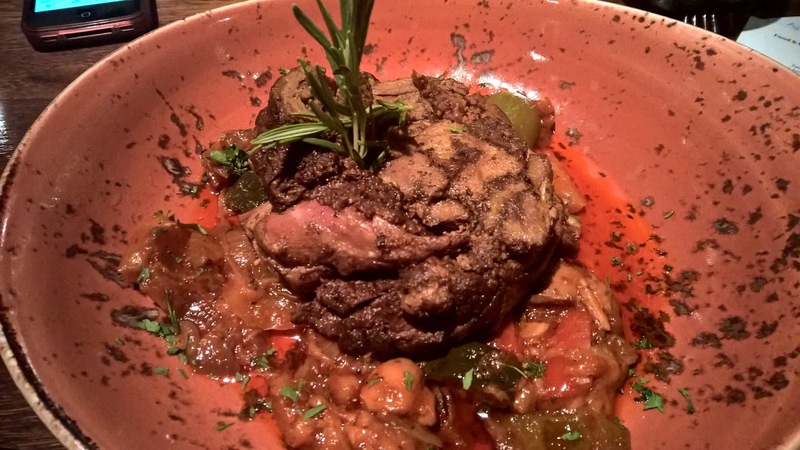 For my main I have the Kalahari Roast lamb. This dish is richly imbued with spices and the aroma is quite intoxicating as it is placed in front of me. It finds itself on a bed tomato gravy with chunky and crunchy vegetable pieces of peppers, mushrooms, zucchini and onions. It is a real hearty dish. Finally, dessert. My preferred dessert, the Warm koeksisters, is not available. In the end I order another South African classic dessert, the Warm Malva pudding. It is spongy cake with apricot jam inside. I find it sweet, decadently so. 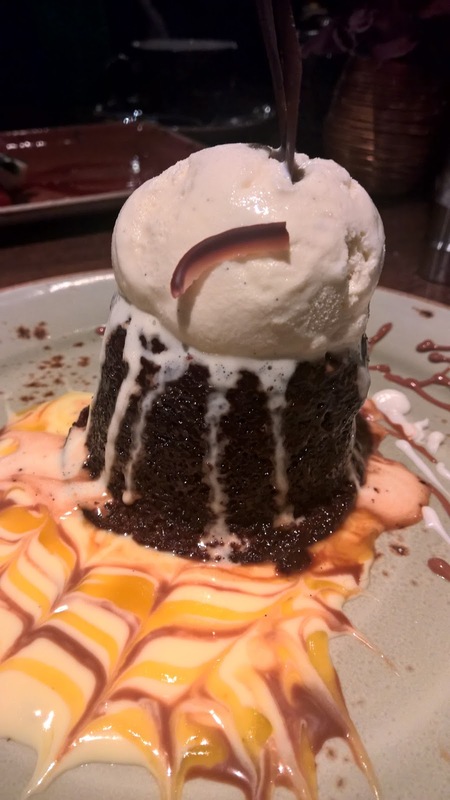 Topped with vanilla ice cream, it is nicely balanced. The service is everything I expected from a staff that is all African with all parts of the continent represented - south, east, north and west. This is where the authentic feel comes from. Tribes is not just a concept. It is real, with many of the staff from tribes with a rich and kaleidoscopic past. I have the absolute pleasure of being waited on my Theresa who oozes confidence, know-how and vitality. She talks about the menu, making recommendations in a natural kind of way that makes you wonder why there are not more waitresses like her in Abu Dhabi, where I am resident! I meet other staff too, and I notice a wonderful trend. The staff have been at Tribes for a while, so they are very knowledgeable and the sincerity they possess is not from a training manual - it is natural and cannot be learned. Tribes is a restaurant that offers a unique concept. 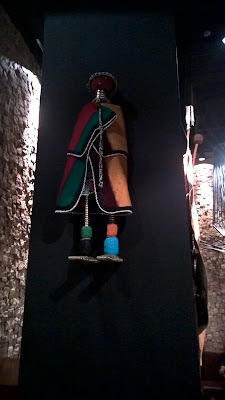 Anyone intrigued by African culture and food should visit. The concept that is carried off very successfully and I had so many authentic moments that it reminded me of home on numerous levels. It is the kind of restaurant that will take you back to Africa if you have been before, and will light the spark of desire in you to make you wish you can go to Africa. Food - it is so much more than food. It is a cultural journey. Disclaimer: I consult at restaurants and hotels in an attempt to look at the entire product to take service levels to where they should be. I visited Tribes courtesy of a marketing company.